"Creating Perspectives: Business for Development, East Africa"
As an international cooperation enterprise for sustainable development with worldwide operations, the federally owned Deutsche Gesellschaft ftir Internationale Zusammenarbeit (GIZ4 GmbH supports the German Government in achieving its development-policy objectives. "Creating Perspectives: Business for Development, East Africa" is a joint Initiative by Federal German Ministry for Cooperation and Development (BMZ), the Federation of German Industry (BDI), and the East African Community (EAC). The programme is carried out by GIZ and the East African Business Council (EABC). The programme pursues to increase productivity, competitiveness, and innovation in primarily small and medium enterprises (SMEs) in countries of the East African Community through private sector development. The improvement of the economic situation of East African SME ought to be achieved by realizing three outputs: (A) improve economic activity in the region through scaling up of production and thus growth of businesses, (B) enhance the engagement of Germany's private sector in East Africa, and (C) evaluate the successes of German-East African business cooperation as to use it as a blueprint for subsequent, similar programmes in other partner regions. assist with research activities and studies on political issues. 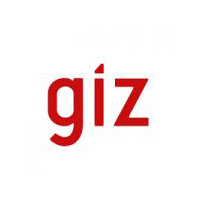 Interested candidates should send their letter of application together with the CV and copies of academic certificates by email to hr.giz-tanzania@giz.de. Please use the subject line "Advisor CP". Applications in hard copy will not be accepted. Closing date for submission: 11/03/2018. Only shortlisted candidates will be contacted.